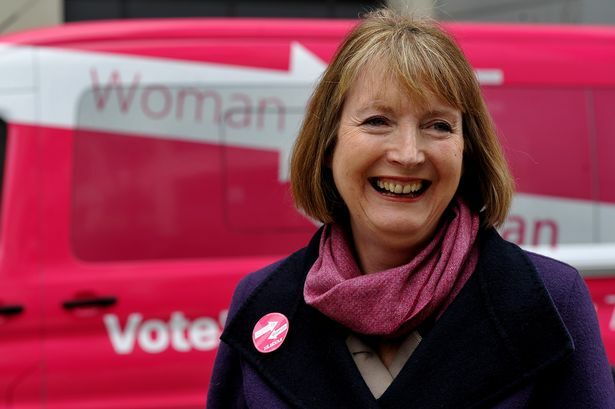 Labour may need to consider changes on the same scale as the creation of "New Labour" following its election defeat in 1992, acting leader Harriet Harman has warned. Speaking to the Birmingham Post , she said Labour had made a mistake in failing to have a "thorough-going, soul-searching, nothing-off-limits discussion" before choosing Gordon Brown as leader in 2007, or Ed Miliband as leader in 2010. Mrs Harman said the contest to elect a new Labour leader would involve hustings in every region in the country, in constituencies which Labour failed to win in the recent General Election, with an audience which includes people who voted for the Conservatives, UKIP and other parties. She said: "We&apos;ve got to hear from people who don&apos;t like us. And we&apos;ve got to see how our leadership candidates can reach out to them." Venues for the events have not yet been chosen but the plan was to hold hustings in a constituency like Nuneaton, North Warwickshire, Halesowen or Dudley South – seats which Labour hoped to gain from the Conservatives but failed to win, she said. Mrs Harman also said the electoral system which led to Ed Miliband becoming leader, which allowed unions to send out ballot papers to eligible members accompanied by publicity material backing their favoured candidate, was "not fair". Under a new system, ballot papers will be sent out by the Electoral Reform Society. Mrs Harman, Labour&apos;s acting leader following the resignation of Ed Miliband in the wake of the Conservative General Election victory, said Labour "rose from the ashes" after its defeat in 1992 to win an election just five years later, but it went through major changes. She said: "What we did after 1992 was we basically were really frank about what had gone on. We didn&apos;t do business as usual. That was the big change. Then, it was New Labour. "That was showing how big the change was. Today, we don&apos;t need to go back to New Labour or Old Labour. But we need that scale of contemplating what&apos;s happened, that scale of making sure it&apos;s not business as usual." Labour had put off this sort of soul-searching for too long, she said. "When Gordon took over from Tony, and when Ed took over from Gordon, we did not have the thorough-going, soul-searching, nothing-off-limits discussion that we needed to have." Labour must consider not only whether it had the right policies but also "something more general about who we are and what we stand for", she said. To ensure this happened, leadership candidates would be asked to attend hustings in every region, in constituencies where the party failed to achieve its objectives. So Birmingham, which has nine Labour MPs, would not be a venue – but nearby constituencies which elected Conservative MPs might be. She said: "Whereas previously in leadership election hustings we would have held them in the centre of Birmingham, just with Labour Party members, we&apos;ll be picking one of the Dudleys or Nuneatons or Stourbridges. "And not just having Labour Party members there as the leadership candidates set out their pitch, but actually all the people who didn&apos;t vote Labour – who voted Tory, who voted UKIP or didn&apos;t vote at all." And she said the new system for sending out ballot papers to members of trade unions who are eligible to vote would ensure unions weren&apos;t given undue influence. "In the past the ballot papers were sent out by the unions, who had already taken a position on who they were supporting, to their members, including in some cases materials which supported one candidate and didn&apos;t mention any of the others. "That&apos;s going to be a different situation now." She added: "The idea the ballot paper comes with support for one candidate is not fair and that&apos;s why we changed it." Mrs Harman said she believed Labour was on course to win the election until the exit poll was published. She said: "I was waiting to go on air at that point. We were preparing for all the questions about coalition – who are you going to go into coalition with, how long is it going to take, when should David Cameron be going or should he go immediately." But when the poll was published, "literally all those questions and answers we thought through were in the bin from that point. Some people thought the exit poll was wrong, she said, but "I thought, we are not going in to government".